It is time for you to welcome the Loom and Leaf mattress into the ranks of high quality factory direct mattresses. This mattress is made of high quality materials, has a very impressive cooling feature, and has a great feel for most sleepers. Even though it may be a newer mattress, it is being made by one of the best online mattress companies in the world. 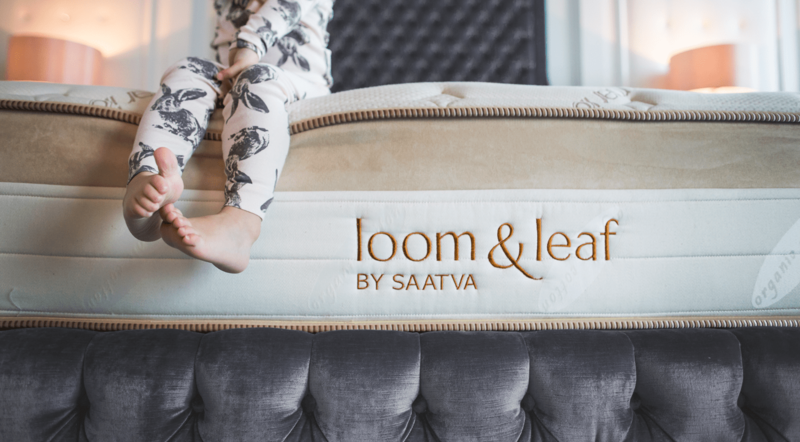 Saatva has been making and selling amazing mattresses for over 3 years now and it really went over the top with the Loom and Leaf. This mattress has several different layers and each one will bring you a foot off the ground. It is a going to be a bit thicker than regular foam mattresses. It is because of this thickness that you get a great feel, amazing support and cool durability. The first layer is a gel foam. It will help to keep you cool and since it has a gel swirl, it ensures that the gel is throughout the foam. So what makes this particular layer so important? The fact that it is a cooling gel, and this panel of cooling gel that is on the top layer really keeps you cool at night. This is the type of gel that you see this foam in burn units as well as in a hospital. The second layer is made up of an elastic memory foam. This is basically the core of your mattress and keeps the mattress contoured to your body and will give you great support. The next layer is just a loft pad that helps the bottom and top layers to work together which improves the overall comfort, contouring, and support. The last layer is just the support base that you need for the whole mattress. The cover is made of organic cotton. This just means that this mattress is going to be soft, textured, and breathable. The cover is made with a foam layer that adds extra softness and great feel for the cover. There are embroidered pieces on it too, and since it is also crafted using natural thistle, it means that it will really be great for the feel. Plus, it is flame retardant. That is really unexpected feature but it is quite nice. There is even a gold trim that makes it look even more luxurious and there are handles which make moving the mattress so much easier. This mattress costs $999 and can be bought here. Before you buy check to see if you can use a Loom and Leaf coupon. 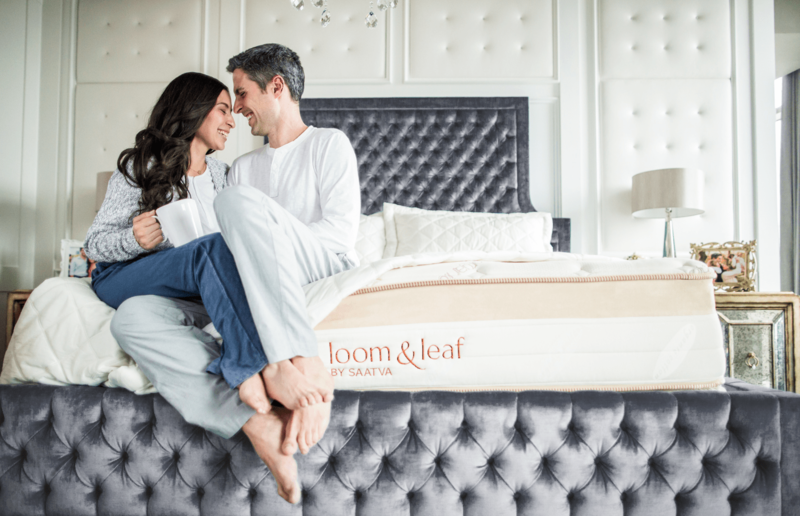 The Loom and Leaf is a great mattress that not only has a great price, but it is a fraction of what you would pay for a foam mattress in the store. Since this mattress is made with some of the highest quality materials, it means that there is a great support, looks great, and is cool and comfortable. And that is something that you can’t beat. This is a great choice for all sleeping styles. See how Loom and Leaf compares to Tuft & Needle.